The students in 604 have been infected by Spiderwick. 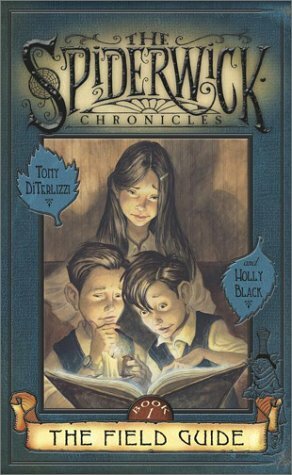 Over half of the class has read at least part of Tony DiTerlizzi and Holly Black's five book Spiderwick Chronicles series. These books venture into the world of fantasy with an easy to read style. In book one, The Field Guide, after their parents get divorced, the three children, thirteen-year-old Mallory and her nine-year-old twin brothers, Jared and Simon move with their mother into the Victorian home where their great-aunt Lucinda lived previously. The kids discover a world of faeries, a secret library hidden in the house, and later discover Arthur Spiderwick's Field Guide to the Fantastical World Around You in a chest in the attic. Soon after moving in, odd things begin to happen, like strange sounds in the walls, and small unexpected and unfriendly other occupants are in the house. This is a fun series with nonstop adventure through all five books. It is great to see a class find a series they enjoy. And the good news is there are three new books they can read, Beyond the Spiderwick Chronicles. How Involved are You in Blogging? As the grading period comes to an end, please count and record the number of your posts and comments. 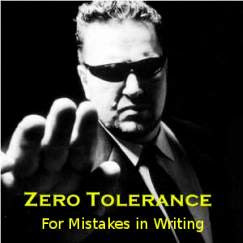 Starting today there is zero tolerance for mistakes in writing. The school year is half over. Students in Reading Workshop have been writing every day. The expectations for writing are for students to use the skills that have been taught. Students are expected to write without errors in spelling and mechanics. Each student has tools available, including a computer with word processing and spell check, a dictionary, online sites like Answers.com and Dictionary.com, peer assistance, and spelling buddies. There really is no reason for writing with mistakes, other than a lack of effort. Students are expected to use correct punctuation, capitalization, spelling, and grammar. When an assignment is turned in with errors, students' grades will be drastically cut. Students must edit with attention to detail or they will not pass. If students don't know the difference between your and you're, it's time to learn. The first letter in words in a title, proper noun or to start a sentence must be capitalized. Tiny mistakes mean huge differences in grades. Step it up Reading Workshop students. The responsibility for writing cleanly and clearly is on you. 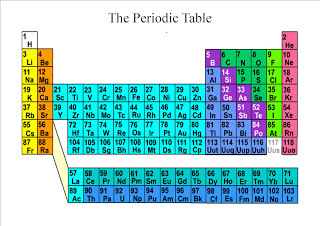 Reading Workshop students, please copy your Element Essay and Element poem from your blog and paste them into this form to be graded. Hey Guys, Which Half are You In? I watched as each row was dismissed. After a few minutes, I decided it was about 50/50. I didn't see a pattern based on age, dress, or companions. About half of the time once a man exited his row, he stepped back and let his wife, daughter, girlfriend, and/or mother go in front of him. The other half, he walked out in the order he left the pew. This scene took place at a wedding I attended over Christmas break. I am not even sure what made me notice, other than we were one of the last rows to be released by the ushers so we watched a lot of people exit. The guy in front of me walked out with his wife trailing about three feet behind, and he never even looked back. You could tell that was what they were used to. As I watched them, it bothered me a little. So guys, which half are you in? Do you treat ladies with respect? What about classmates? Do you let the door slam in the face of the person behind you? Or do you stop and hold the door? Do you let a girl go in front of you? Is that uncool? 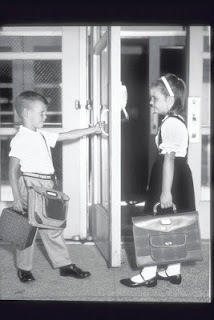 Or do you show kindness and respect to classmates? And what about you girls? Do you say thank you when someone shows good manners and treats you with respect? Or is that just too old fashioned? When someone extends an act of kindness how do you respond? Do manners go out of style? Do you talk the talk, or walk the walk? How many times a day do you say thank you? Are good manners important when you are twelve years old? Is it just part of being a caring and considerate person? Or is it just something that doesn't matter until you are an adult?